Today’s “Desert Island” category will be Movies. This is the category that it took me longest to cover because it was the hardest to narrow down. It’s not that I don’t enjoy a good movie, I just prefer TV Shows. I can watch episodes over and over, but never really feel that connection to movies. Gangs of New York – Daniel Day-Lewis runs the NY streets while Leonardo DiCaprio tries to avenge his father’s death on the streets of New York. Also, Cameron Diaz. Catch Me If You Can – Frank Abagnale Jr. (DiCaprio) scams the system, makes his own checks and runs up tabs around the country, while the FBI (Tom Hanks) is hot on his tail. Toy Story – This was the animated movie of my childhood, how can you go wrong with it? 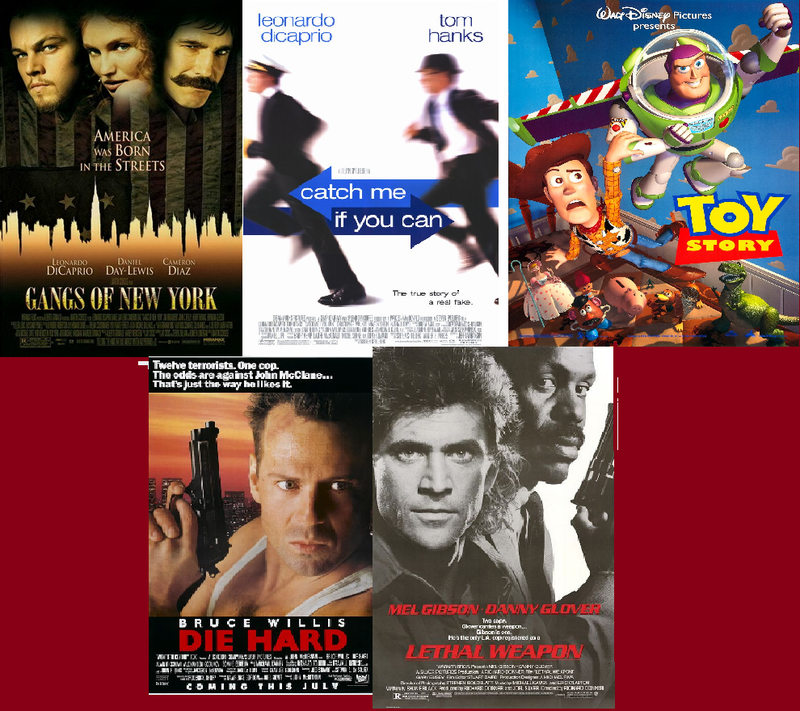 Die Hard – The movie of the 80s and the one you can watch over and over and “Yippie-Ki-Yay” along with them. Lethal Weapon – The banter of the movie is what is making the new TV show enjoyable as well.